So many treasures, so little time! That seems to have been my mantra this past couple of weeks- we've acquired a mini-mountain of new stock just lately, as fast as I prepare it there always seems to be more to do! Here are a few of the gorgeous hats and handbags that will be making their way up to the shop tomorrow, I have to say these are among my favourites EVER. 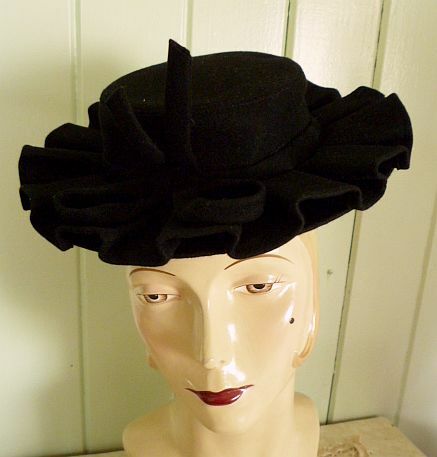 Ladies are already coming in to the shop looking for their formal and Melbourne cup outfits, and I wonder if some of these hats will be in the newspaper one day, being worn by a 'best-dressed' winner?? 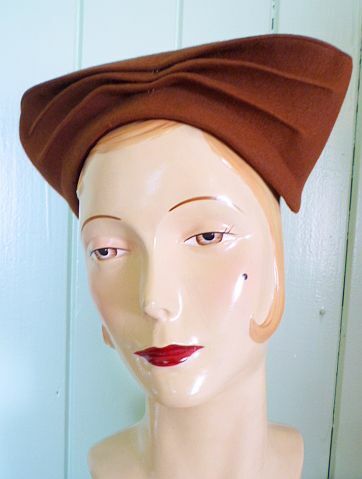 There's no way I could get this one to sit on a mannequin head, it needs to be pinned to a real head, LOL! 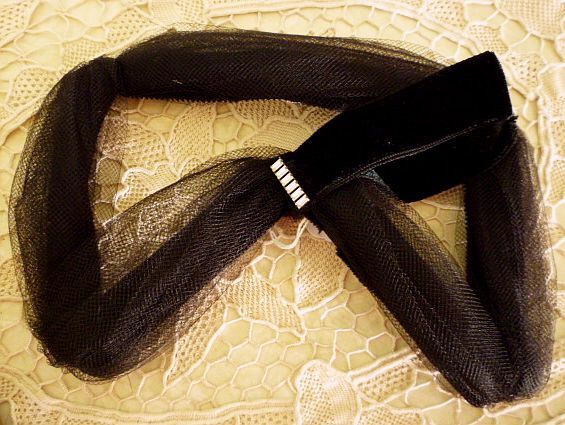 Perfect for those who love the fascinator style but of course this is an original 50s! 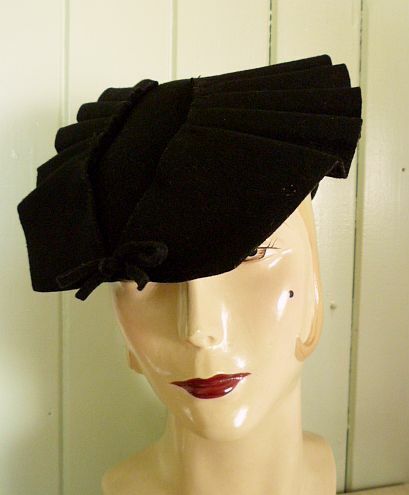 This one doesn't show too well in a photo but is a lovely 50s silk velvet cocktail hat, perfect for the races or a school formal (prom). 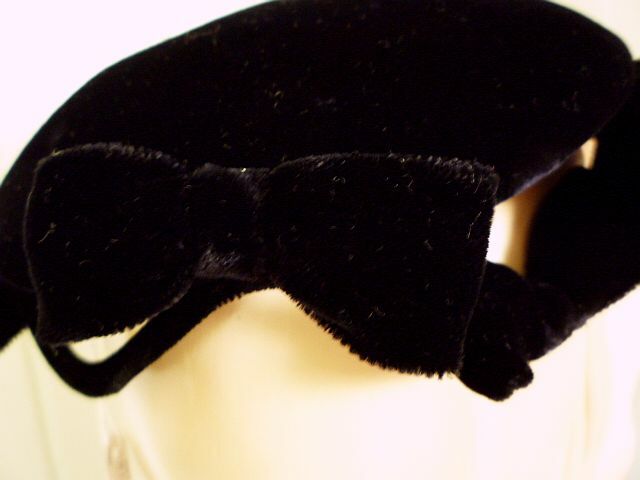 In this (lightened) close-up you can see it has little bows all around the edges, so cute! 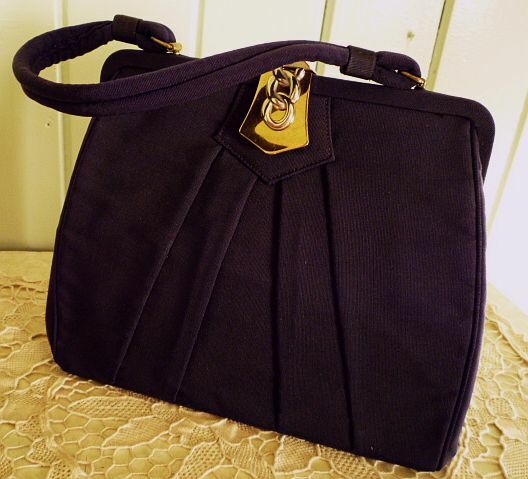 Navy grosgrain handbag with pristine silk interior, beautiful! 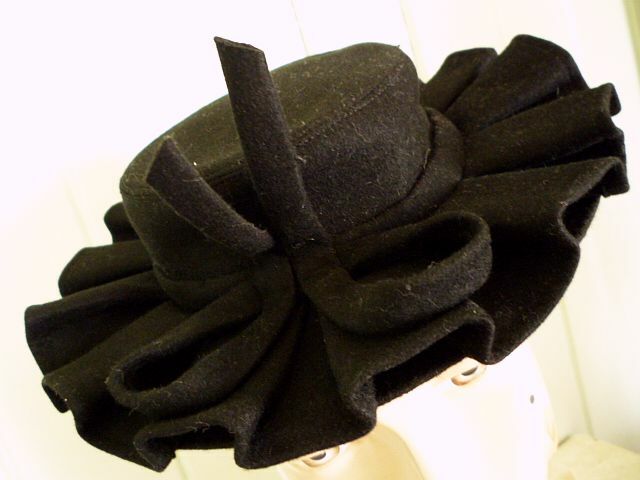 Some gorgeous hats in there! 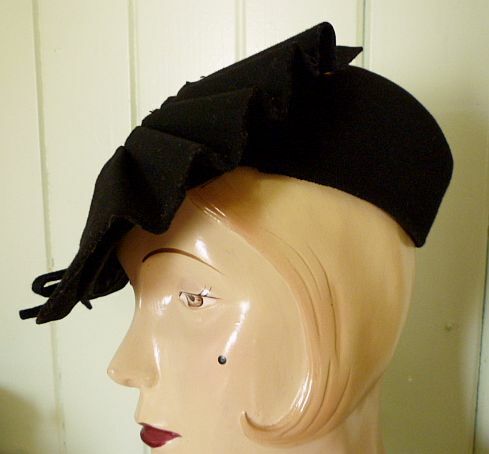 The 40s tilt topper is one of my faves out of the bunch. And I love all the others too! I just wanna go shopping with you! 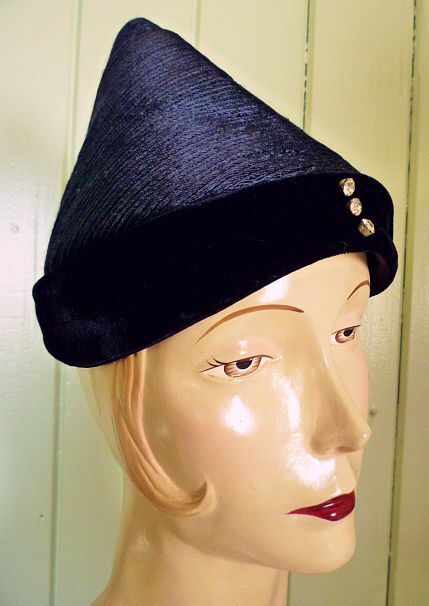 You must have some pretty damn hot contacts to be able to source vintage gold dust items such as these...I do LOVE hats! 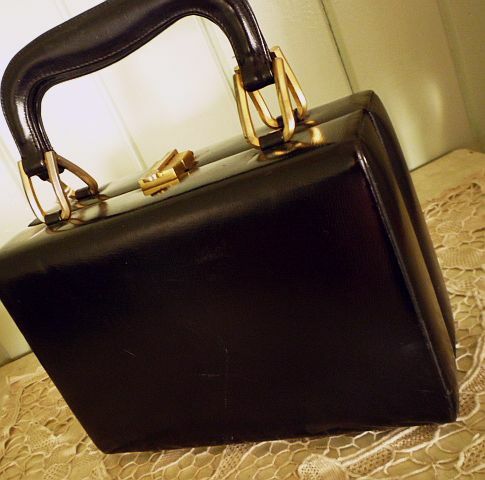 I wish you could come and have a rummage in my boudoir of delights too cause I'd love to pick your brain about being a successful vintage dealer. Thanks for all your past comments, they mean a lot to me & make me a very happy chicken indeed. Mel, you'd never find stuff like this at any garage sale...no way! These are from a private collection. 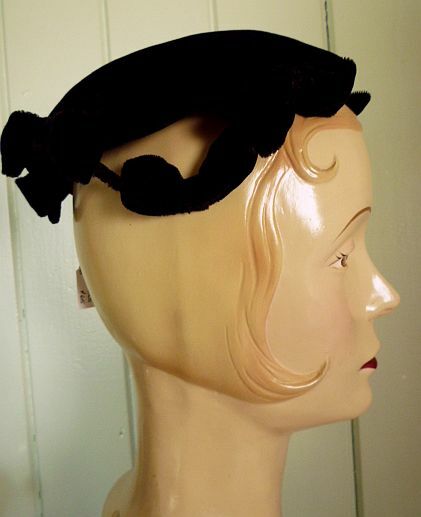 Those hats are devilish delight , the Lucite purses divine! 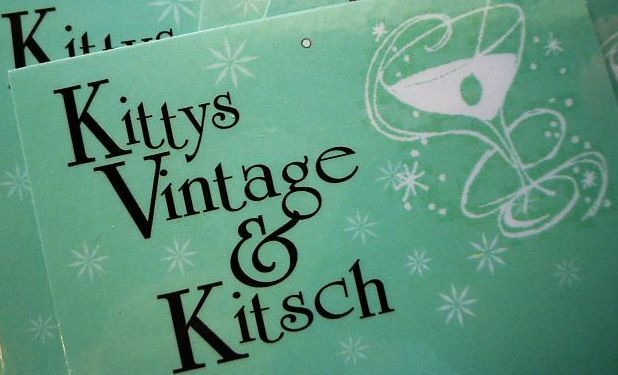 A private collection where the women probably never or hardly ever wore them!! Awesome hats, too many favorites to list! 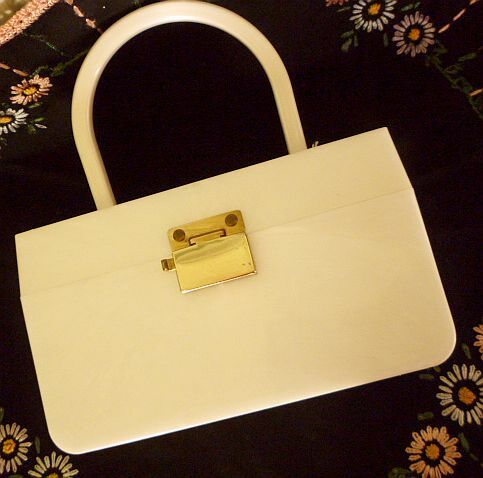 My little lucite clear top purse came off the hinges. I MUST find a way to fix it! It was my fav..Great stuff! I am with Delia I would be so bad getting rid of things am bad enough already. I am loving these hats! Ay, feel free to send me all these hats and bag over. such beauties! 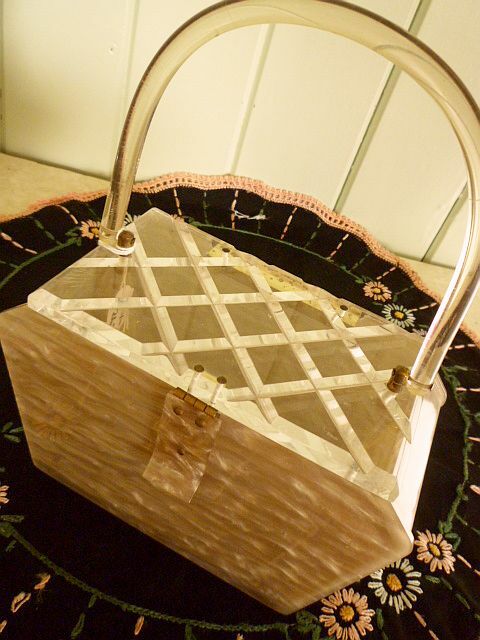 I know this post was from ages ago but is the Navy grosgrain handbag with pristine silk interior still available? 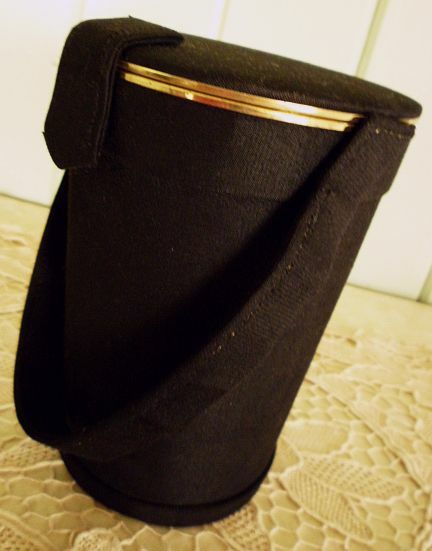 Are all the items you post on this blog available on your etsy store? Hi Jules these items are available in our retail shop at Tamborine. Pls email me directly or comment on our Facebook page to purchase :) I'm pretty sure we still have the navy one.